If you’ve got your finger on the pulse of Atlanta’s independent film industry, you may have heard of Actress Nicole L. If you haven’t yet heard that name, you soon will if it’s up to her. This actress (who refuses to be called an aspiring actress) is surely a force to be reckoned with. She’s been cast in four different web series, a play, and produced an original short film all- all in 2018. To say she is driven is an understatement. 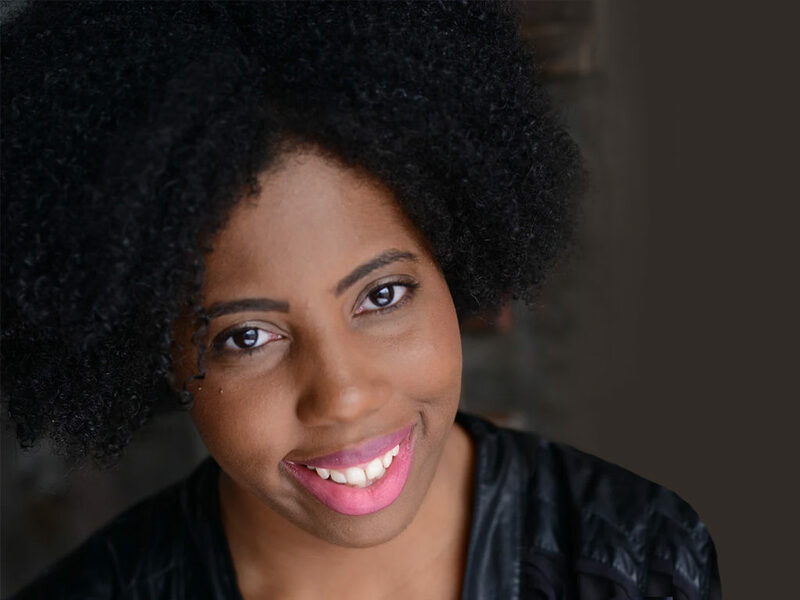 Nicole Lockley-Obi, a Morton, Pennsylvania native (a small suburb southeast of Philadelphia) started her career by performing in church and school plays. Recalling her first lead role at 9-years-old as Satan in a church play called The Train to Hell, Obi says that was the most important role of her life. She continued performing in school plays and appeared in her first commercial at 14 for an anti-smoking campaign called ‘Busted!’. Although performing arts was an obvious passion of hers, in 7th grade she discovered another talent which would later inform her college education choice. “We took one of those personality-career matching tests and had to do a full research assignment on the career chosen. I got journalism, researched it, and fell in love with writing,” she said. During this time, she also discovered another side of herself and began telling stories through the eyes of a feisty, 90-something-year-old woman. In 2006, Obi was accepted on the spot at an Open House of her first choice, college pick, Lincoln University. In August 2007, she started her journey at the first Historical Black College/University which she credits with shaping her into the woman she is today. She explained that she went to every party, drank just as much as any college student, met new friends, fought with those friends, lost those friends, found new friends, and started that cycle again. “It’s said the people you become most closely with in college likely be your friends for years to come, that is definitely not the case for me,” continuing that she only stays in contact with one person from the university. However, there was another relationship that lasted beyond college. “I met this guy at Spring Fling, the last month before I graduated from college, through a mutual friend. He was just supposed to be a one-night hookup, but 7 years later I’m blessed to still be with him, married for 2 years with a 2-year-old son,” she said. She says she owes a world of gratitude to her mother and grandparents who “ran up and down the road” getting her all the places she wanted to go and always supporting any endeavors she had. Through all her trials and tribulations, the one thing that has remained constant is her love for acting. Moving to Atlanta in March of 2014 to pursue acting full time, Obi and her husband left everything behind including her public relations company and career as a journalist. Getting a very featured role in BET’s Being Mary Jane in Season 2 Episode 1 that April, and signing with an agent in November 2014, she had extremely high hopes for her career aspiration. Since 2014, she’s been involved in a number of plays, short films, and other independent projects but she says an uptick in her career is in the near future.